Tiger wakes in the night, knowing something is wrong. Carly, mate of his heart, is next to him, and he hears his son’s breathing. They are safe. 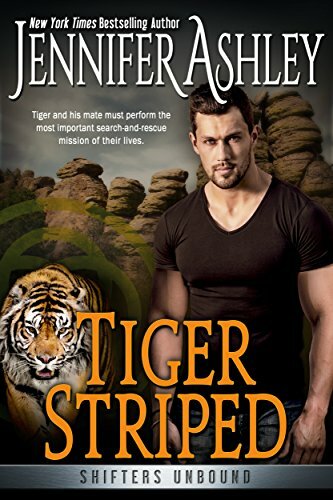 Carly won’t let Tiger go alone, and neither will Connor, the cub who will become one of the greatest Shifters of them all—Tiger knows. He sees. Tiger wasn't like other shifters because he was made in a lab. He'd been an experiment and left alone for many years after the scientists had left. He was different so when he heard screams in his head and knew someone was in trouble, he rushed out to help them. When Carly, his mate saw he was getting ready to leave she and another person went with him. Someone was in need and Tiger needed to go, that's all he knew. What they found when they finally reached the person who was calling out for help shocked them all. But they had a hard time getting at the person because the authorities wouldn't let them get near the person who needed help. Then more of Tiger's clan show up to help and they are finally able to try and help this person in need. 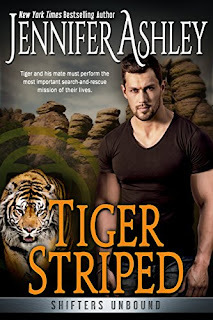 Tiger has always been one of my favorite shifters ever since he was found. His story is heartbreaking and I really feel for him. Knowing all he's been through already and to have something else thrown at him was crazy. He's so different because of how he came to exist and all the experiments done to him. I can't really say too much about what else happened in this story because it would give too much away and I don't want to spoil it for anyone but I will say that this novella was packed with action, twists and something new. But if you love this series this is a must read because of the big reveal and twist that it brings. I can't wait to see what happens in upcoming books.